Well, what a wonderful, exquisite, and ever so thoughtful surprise appeared in my mailbox yesterday. The shirt is absolutely stunning and I’m ever so grateful to you and all of the fine folks at Swing Golf. I’ll wear it proudly and happily spread the word to all of my local golfing lads about the great job you do. 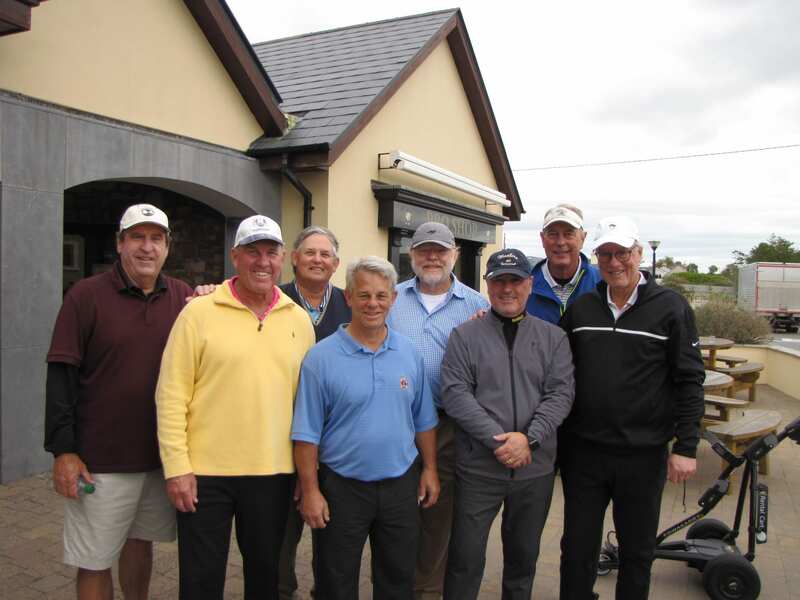 Our trip was fantastic as usual and we only had one day of rough weather, the Wednesday at Ballybunion. Didn’t deter us at all and we actually enjoyed a bit of difficult but typical Irish weather. Brendan was so kind and gracious to meet us after our last round at Dooks, and oh so generous to pick up our bar tab! Hope we didn’t break his budget! Haha ? Well likely be returning again in 2-3 years so I’ll definitely be in touch and let your capable hands take care of us once again. All the best.